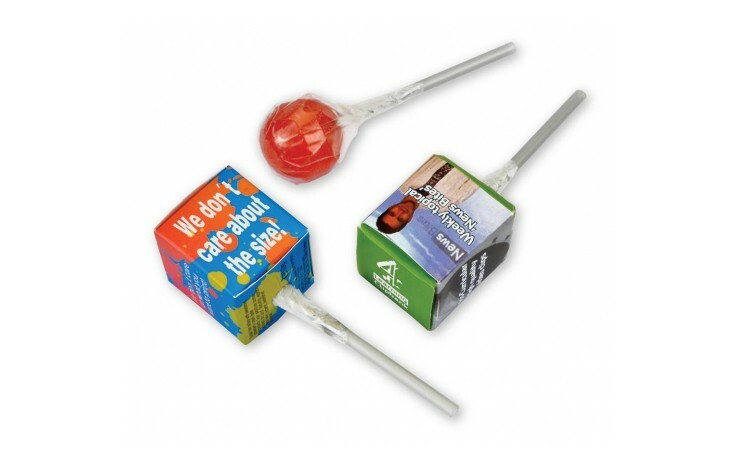 A sweet way of displaying your brand; our Boxed Lollipop is a brilliant event giveaway! 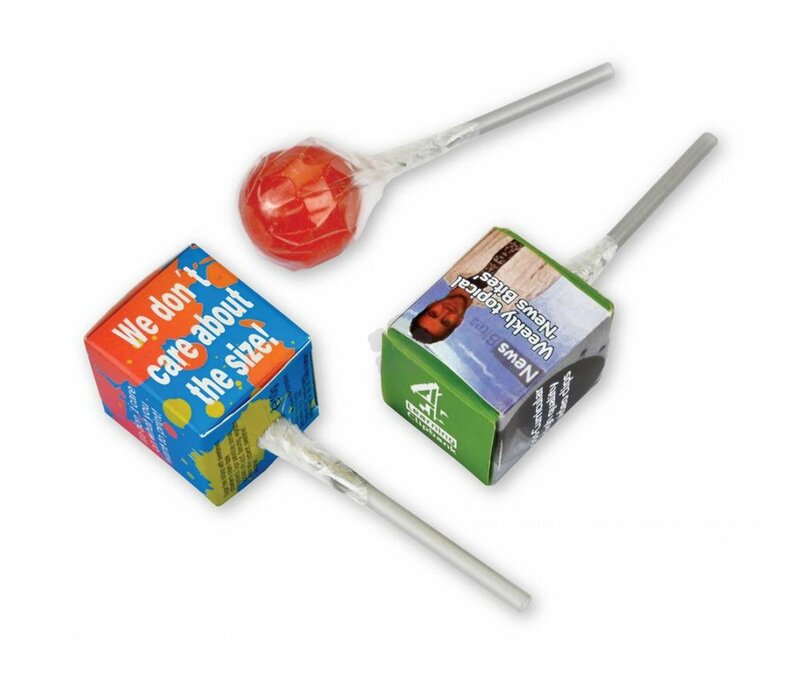 Containing a 9g fruit flavoured boil lollipop. Available in an assortment of colours and flavours. Custom printed when flat with your design in full colour, as standard, to all outer sides of the box. Box printed when flat - Brilliant branding area!